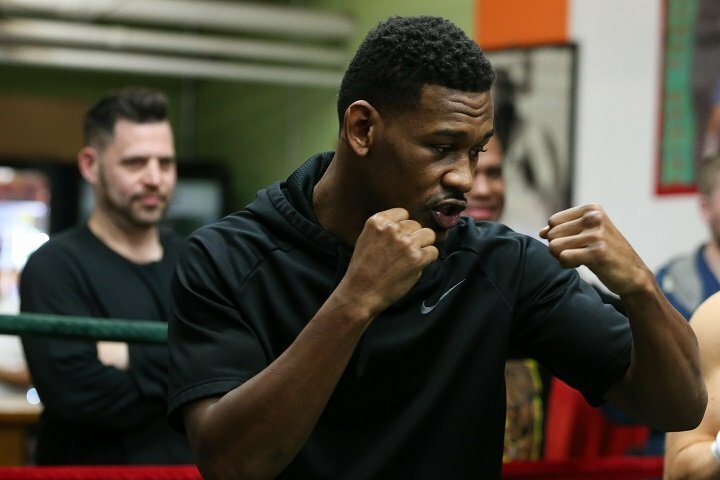 By Allan Fox: With the Daniel Jacobs (34-2 29 KOs) vs. Sergiy Derevyanchenko fight headed to a purse bid on July 5, there’s a very real chance the fight doesn’t take place. Derevyanchenko’s promoter Lou DiBella wants the market to decide who stages the fight. He doesn’t want to limit Derevyanchenko (12-0, 10 KOs) to fighting on HBO, who has Jacobs under contract. If an outside promoter wins the purse bid on July 5, then it will likely mean that ‘The Miracle Man’ Jacobs will need to pull out of the fight because he’s under contract with HBO. Top Rank might be interested in bidding on the Jacobs-Derevyanchenko fight, and then putting the contest on ESPN, according to RingTV. If Top Rank puts the fight on ESPN, it will likely be Derevyanchenko facing someone else for the vacant International Boxing Federation middleweight title that was recently stripped from Gennady ‘GGG’ Golovkin. Jacobs’ promoter Eddie Hearn states that if Derevyanchenko faces Demetrius Andrade instead of his fighter, he’ll make half of what he would get if he faces Jacobs. If Jacobs loses out on the fight against Derevyanchenko for the IBF 160 lb. title, he’ll still have the option to go the WBA route, as he’s also the mandatory challenger to Gennady Golovkin after beating Maciej Sulecki by a 12 round unanimous decision last April. Jacobs might be better off waiting on the title fight against the winner of the Golovkin vs. Saul Canelo Alvarez II rather than facing Derevyanchenko in a risky fight. It’s not a given that Jacobs will beat Derevyanchenko, considering how good the 2008 Olympian has looked recently. Jacobs barely escaped defeat in his fight against Sulecki in the eyes of a lot of boxing fans. The scores were way off from the fight that took place. The knockdown that Jacobs scored in the 12th round was the deciding factor in the fight or at least it should have been the deciding factor. If Sulecki had a little more punching power, he likely would have knocked Jacobs out in that fight. Derevyanchenko is a bigger puncher than Sulecki, so Jacobs might have problems if the two of them square off for the vacant IBF middleweight title. Jacobs and Derevyanchenko are trained by the same guy in Andre Rozier. If they face each other, it’s going to put Rozier in the position where he’ll need to make a decision which guy to work with. Since he’s been with Jacobs for longer, it’s likely he’ll stick with him. Jacobs has been in bigger fights than Derevyanchenko, and he’s signed with HBO for now.